This female mosquito is Culiseta which has nine species in the US. Most Culiseta species are cold-adapted. 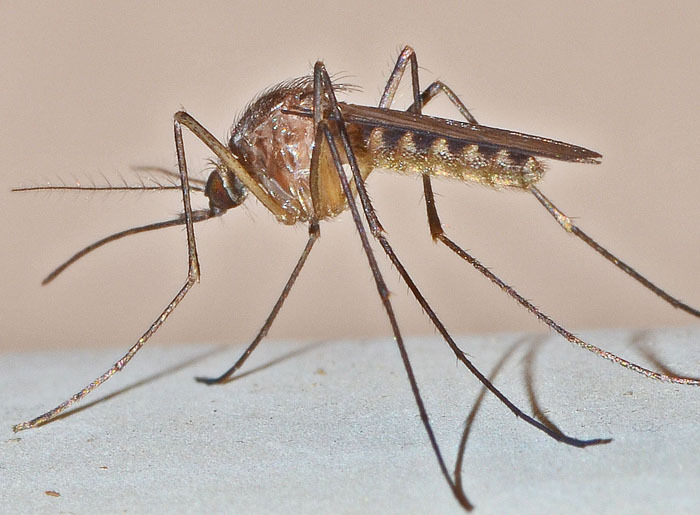 C. melanura plays an important role in the transmission cycle of eastern equine encephalitis virus and potentially West Nile virus. The primary victim of blood feeding are birds.